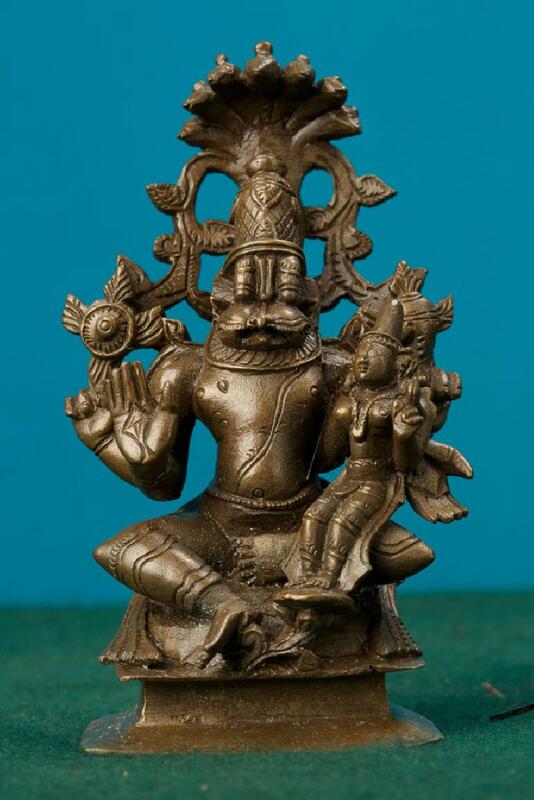 Made with a touch of class and divinity, this bronze sculpture of four-handed Lakshmi Narasimha is in a seated posture. Here the God is seen sitting under a seven hooded serpent. Goddess Lakshmi is seated on the left lap of Lord Narasimha.